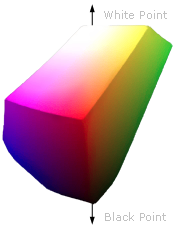 Absolute is similar to relative colorimetric in that it preserves in gamut colors and clips those out of gamut, but they differ in how each handles the white point. 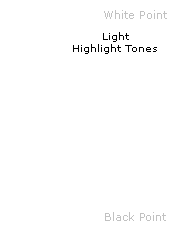 The white point is the location of the purest and lightest white in a color space (also see discussion of color temperature). If one were to draw a line between the white and black points, this would pass through the most neutral colors. 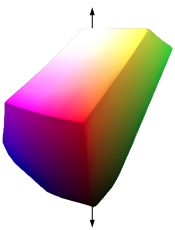 Absolute colorimetric preserves the white point, while relative colorimetric actually displaces the colors so that the old white point aligns with the new one (while still retaining the colors' relative positions). 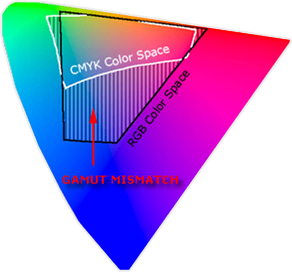 The exact preservation of colors may sound appealing, however relative colorimetric adjusts the white point for a reason. Without this adjustment, absolute colorimetric results in unsightly image color shifts, and is thus rarely of interest to photographers. 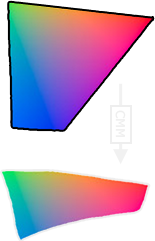 This color shift results because the white point of the color space usually needs to align with that of the light source or paper tint used. If one were printing to a color space for paper with a bluish tint, absolute colorimetric would ignore this tint change. 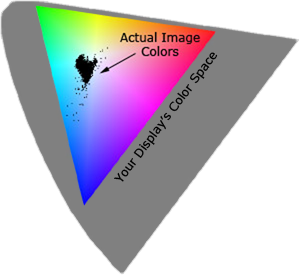 Relative colorimetric would compensate colors to account for the fact that the whitest and lightest point has a tint of blue. 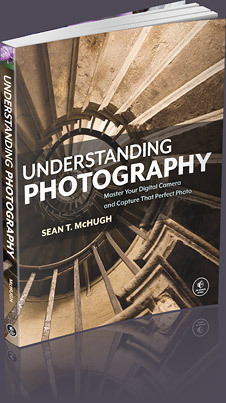 So which is the best rendering intent for digital photography? 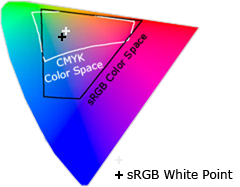 In general, perceptual and relative colorimetric are best suited for photography because they aim to preserve the same visual appearance as the original.